What practitioner of magic does not desire to live out in the country with plenty of land to plant magical herbs and a forest nearby where we can go wildcrafting? Yet, I have the suspicion that many of us are city dwellers who often practice our magic indoors and have little or no land at our disposal. This does not mean we cannot connect with our Earth Mother in meaningful ways. 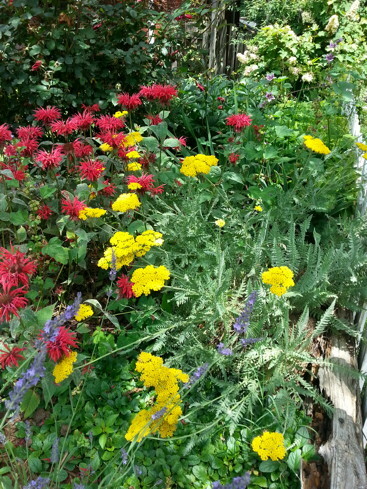 Yarrow and bee balm in the corner of my yard. The front yard of my house is the only place that gets enough sunlight to grow things besides ferns and other shade plants. It’s very small but I grow a number of decorative flowers because I love them and also plant a few magical herbs alongside of them. If you have no yard whatsoever, you can also plant many of these herbs in container gardens. Yarrow is one of my favorites, no only because it has a long bloom season, it also dries easily and is one of my go-to plants for magic spells. Yarrow is also a perennial so it keeps coming back and multiplying year after year. I only harvest what I need and never gather more than 1/4 of the stems that germinate and grow. 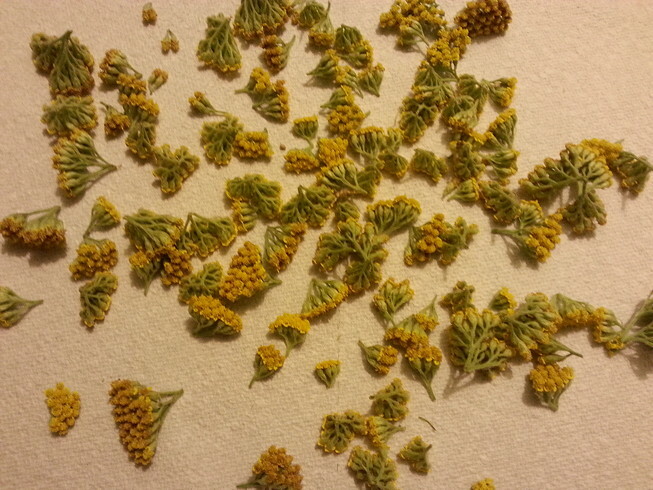 It’s amazing how much dried yarrow a few stems produces so harvest it cautiously. 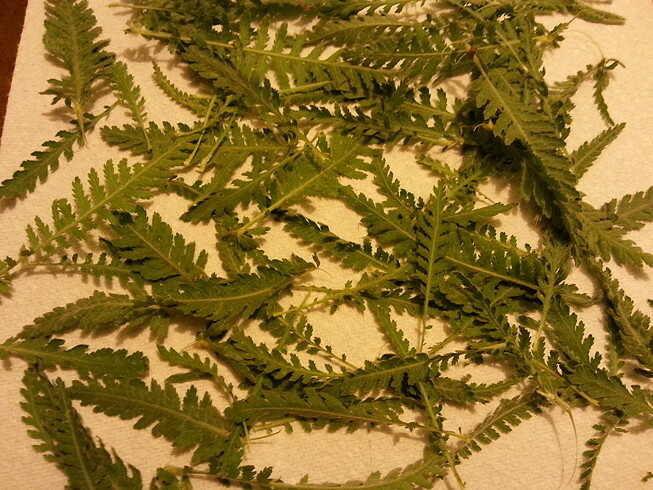 Drying yarrow by the “urban farming” method is easy! 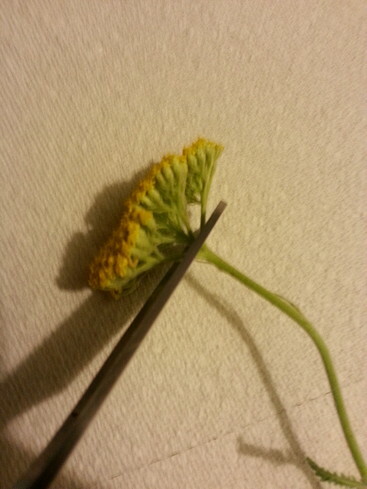 First cut the flowers off the stem by pushing your kitchen shears as close to the bud as you can get them. Take all the leaves off the stems as well. Return the stems to the earth for composting. 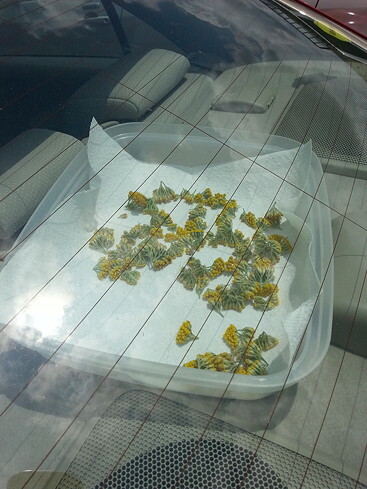 Next, place the buds and leaves (I do them separately) in a large plastic container that is lined with a paper towel. Place the container in the rear window of your car and keep it there until the buds and stems are dry which only takes a few days. Another method is to place them on a brown paper bag from the grocery store instead of a plastic container. Who needs an expensive dehydrator? This does the job quickly and inexpensively! The finished product is gorgeous. When the buds are dried they can be easily separated into individual pieces. The leaves can either be crumbled by hand or placed in a food processor until they reach the desired consistency. I use this method of drying for most of my herbs and it’s as easy as it gets! Give it a try! 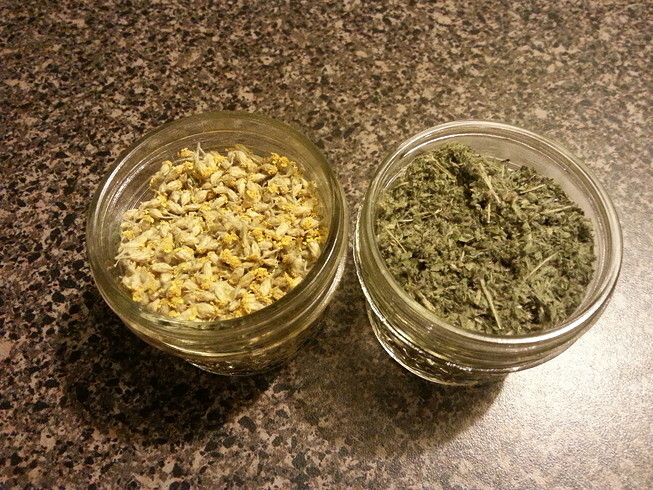 This entry was posted in Herbology and tagged drying, Herbology, Herbs, Pagan, Wicca, Yarrow. Bookmark the permalink.